is a writer, teacher and communications consultant whose clients have included 14 Canadian federal government departments, 12 national and international organizations, 14 regional organizations, as well as many corporate and business clients in the U.S. and Canada. Barbara has contributed to more than 100 magazines and newspapers around the world, websites in 46 countries in 11 time zones, and 38 print anthologies in five countries. Her award-winning Christmas Story, first published by Nelson Bros. Canada for grade seven students, has been reprinted in high school textbooks for students learning English in Sweden, Denmark and Norway. 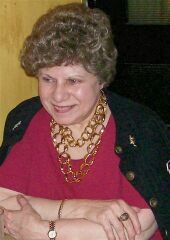 Barbara was the 2010 winner of the prestigious Shojai Mentoring Award from the international Cat Writers' Association. A description of the mentoring award is HERE, and a profile of her on the Writers-Editors Network is HERE. Testimonials from those she has mentored are HERE. A graduate of Barnard College (Columbia University), Barbara majored in English with specializations in theatre and writing along with a minor in music. She received her broadcast training at NBC in New York, and taught at two prestigious private schools in the United States, the Calhoun School in New York City and The Latin School of Chicago. While in Chicago she took post-graduate courses in psychology at the University of Chicago. She currently serves as an officer of the Barnard Class of 1956, writing Class Notes for Barnard Magazine. After moving to Canada in 1967, Barbara continued a freelance career that she had begun, part-time, much earlier. 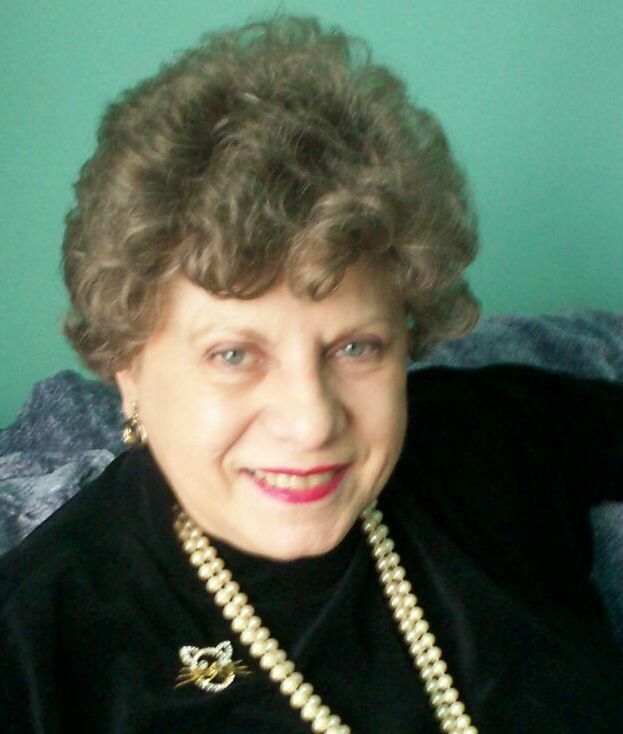 Bobbi was a successful freelancer for newspapers and magazines when she wrote her first book. Five Fast Steps to Better Writing was launched at Ottawa City Hall in February, 1995. The 20th anniversary edition was published in 2005. First published at the age of nine, she won a Regional Award in the National Scholastics Writing Awards for a short story she wrote while a freshman in high school. She freelanced part time for various organizations during her career as a teacher and public relations director. Five Fast Steps to Low-Cost Publicity grew out of a demand from non-profit organizations to put Bobbi's popular workshops into book form. It was cited as the reason for the Communicator of the Year award given to Bobbi in 1990 by the Ottawa chapter of the International Association of Business Communicators. The book first appeared in 1987, has been revised twice, and has had multiple printings. When Carl & Jean Florio were expecting their third child, they were sure this time they'd have a boy. Jean didn't want to name a son after one of Carl's brothers, because that tradition in the Florio family had produced lots of confusion. Over the years, there were two Bill Florios, a Tony, a Nathan, a John, a Carlo and a Carl, all named in honor of the children's uncles. She came up with the perfect solution. Their little boy would be called Robert: a nice Italian first name but not yet in the extended Florio family. They began to refer to the little baby to come as "Bobby." So when the expected boy turned out to be a girl, there was a hasty change in plan. Her name would be Barbara, but she would always be called Bobbi by friends and family. Bobbi served as Managing Editor for Prose to Go: Tales from a Private List, which was published by Bridgeross in 2011. A collection of 34 personal essays from 18 members of the Private List Bobbi formed in 2007, this book was edited by Irene Davis, with Fred Desjardins serving as Aquisitions Editor. A "book shepherd" for the late self-publishing guru Dan Poynter, Bobbi continue to mentoring authors who found her via her website or from friends. She has been a regular contributor to Freelance Writer's Report and SCRIBE (the newsletter for newsletter editors) for many years, and has also become a regular contributor to the SPAWN newsletter, and to The Byline, the newsletter from the National Capital Region of the Canadian Authors' Association. 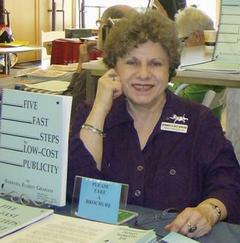 Barbara handled public relations contracts for a number of US and Canadian organizations, including First Aid to Hungary in New York, the Oakdale Musical Theatre in Connecticut, the Illinois Society of Certified Public Accountants, the Christmas Exchange of Ottawa-Carleton, the Canadian Square & Round Dance Society, the Ottawa YM-YWCA, Medica Publishing, and the Canadian Association of University Teachers. Often, writing and public relations have been combined, as in contracts for Law Enforcement Supply Company (Florida), The Versailles Group Ltd. (Boston), and the Catholic Health Association of Canada. A member of the founding board of the Macdonald Club in Ottawa (established 1978), Barbara has also served on the boards of the Canadian Society for the Prevention of Cruelty to Children, the National Cultural Sector Training Committee, and the Cultural Human Resources Council. Barbara was a member of the Professional Writers Association of Canada (formerly the Periodical Writers Association of Canada) for 29 years. She served as President of the Ottawa Chapter, and founded and chaired the Mentoring Committee. Barbara received one of PWAC's first Outstanding Service Awards in 1992. She is also a founding member of the Cat Writers' Association, and became a Life Member of Ottawa Independent Writers just before their 30th anniversary. She is also affiliated wth the Media Club (formerly the Canadian Women's Press Club) and Canadian Association of Journalists. Barbara has taught seminars and workshops in writing, media relations, public speaking and creativity for two of Ottawa's largest consulting companies, Lemmex & Associates and Performance Management Consultants, and has also served on the faculty of www.WritingSchool.com. Ottawa Photo and the new Perpetual Calendar. Bobbi (class of 1956) is among just 17 students whose memories were selected for this compilation. Using Fido To Clinch The Sale appeared in U.S. Business Week, quoting publicity expert Joan Stewart, who cited Simon Teakettle as the cat who owns the company. This has been on NBC websites in Seattle, Dallas, Miami, Atlanta, Chicago, Cleveland, New York City, San Francisco, and Hartford, CT. Profile of Simon Teakettle and Bobbi in 55 Plus.Go to: http://www.fifty-five-plus.com/ and look in the Archives for the Ottawa/Kingston edition of the October, 2010, issue. This article was also mentioned in the blog/newsletter of The Publicity Hound, as an example of using a specific angle to garner publicity. Bobbi replied to a series of questions on creativity for a popular blogger, and her answers appear HERE.